I know, I know! You're all dying to learn about the differences between Blogger and WordPress(.org), aren't you? So was I! I'm Jessica, owner of The Frilly Coconut, a graphic design shop specializing in custom blog and website design. I've been at it for over two years now and I've learned a lot in such a short time, one of the most important things being the Internet is ever-changing. There isn't much about the world of the Internet that stays the same for long; have you noticed that, too? Just like the rest of the Internet, blogger's needs change over time, too. Certain types of graphic design have always faded in and then they slowly faded out. Now? Platforms are important, too. As blogging is taken more seriously by so many people, they're investing more time and money finding out how they should be blogging. Take this post for what it's worth and use it to think about how you want to start blogging! Price - Blogger is free and doesn't require any financial investment with the platform itself. Design Price - If you're looking for a custom blog design for this platform, they're typically more affordable. Blogger only requires knowledge of HTML, whereas WordPress requires much more "backend" knowledge. User-Friendly - If you're using Blogger, you know just how user-friendly it is. There isn't much that you need a tutorial about - it's pretty straight-forward and easy to use. Outages - This year alone, Blogger has had at least two major outages that I know of, if not more. When those outages have occurred, they have caused people to lose access to their accounts for up to 48 hours. Marked As Spam or Deletion - Fortunately, I've only faced this once. Unfortunately, this blog that you're reading right now, Only Parent Chronicles, was the one that was deleted. That's right. 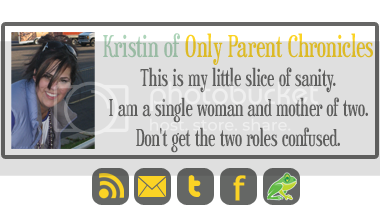 Shortly after I installed this pretty little custom design, Blogger decided to delete Kristin's blog. Fortunately, it was quickly restored, but the fear that filled both mine and Kristin's hearts was indescribable. Themes - There are a variety of themes that you can work with on WordPress(.org). There are some free themes and some themes you must buy. Either way, you have many options. Search Engine Optimization - WordPress(.org) allows you to easily customize your blog for SEO purposes, which is fantastic. Different themes can also make customizing your blog's SEO easier. You want your blog to be found, right? Plugins - Plugins are insanely helpful and typically quick installations that can help your site in a variety of ways. There are plugins for galleries, forums, Twitter, Facebook, and all that you can dream of! Price - WordPress(.org) requires you to have a web host, not just a domain, so your investment is larger. To get an idea of cost, take a look at BlueHost, they're the web host I prefer to work with. Not User-Friendly - I love, love, love WordPress, but I must say that it is overwhelming as all get-out when you first login to it, not knowing what to expect. The good thing is that there are tons of tutorials available for those who are new to WordPress and once you figure out the basic layout, you'll figure out the rest. What?! Why are you setting there plugging your ears? Are you overwhelmed? I believe you. It's very easy to get overwhelmed with all of this information, but please don't. If it's too much to think about right now, then think about it for a while. I never recommend rushing into a situation, especially not a costly one, if you're unsure of yourself. Take some time, explore the differences, and email someone if you need some advice! If you'd like to read more information about Blogger vs. WordPress, I recommend reading my three part series on this: Part I, Part II, and Part III. I know it is all true, but...I can't budge! 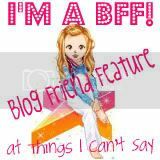 I love my blog over at Blogger, even though it has been a pain-in-the-a$$ so many times. Kelly, I totally get what you mean. Ultimately, I say that you should stay where you're happy, as long as you're aware of the things above. I *think* I'll be making the switch to WP...I'm scared! But excited.